. . . .Just look at those wires. What a freakin' mess. 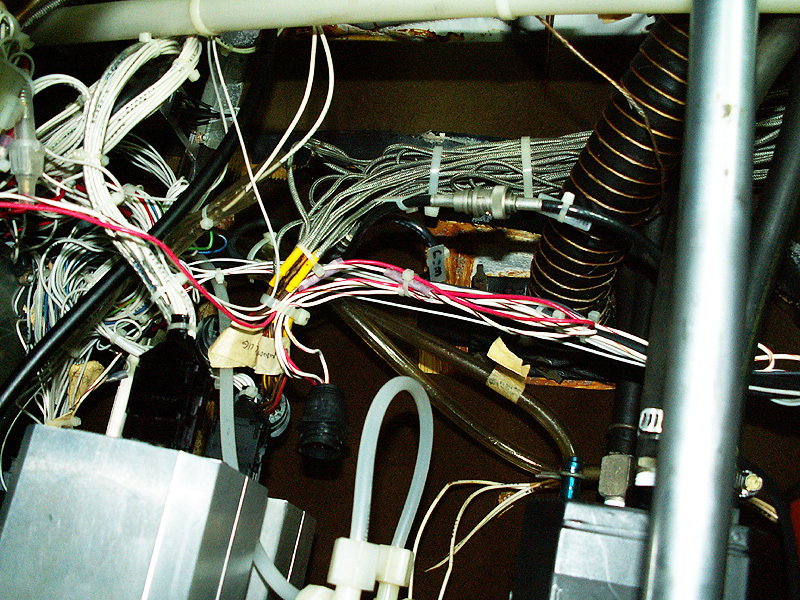 That big bundle of braided wires, folded back and forth on itself, are the probe leads. On a Traveler, I tied all those wires together and tried to make it look neat. Can't be done. I ran the wires all to the outside, firewall side, in an attempt to keep the wires from under the panel. It helps, But not much. Also, ungrounded probes use the instrument itself as a reference temperature. The braiding is needed on 'ungrounded' probes. Not sure I'd trust ungrounded probes.